If you’ve done a quick search about estate planning and probate, you already understand how complicated it can be. If you need more information about estate planning, read our FAQs to find easy-to-read answers to the questions we receive most. Where should I keep my will and other important documents? Your estate plan includes a number of important documents that need to be kept safe yet must be accessible after you die. This includes your will, your living trust, powers of attorney, and any living will or advance directives you may have. It’s critical that these documents are protected; but you may need to access them again in the future to update them, and the executor of your estate needs to be able to find those documents in order to ensure your final wishes are followed. Here is some important information about storing your important paperwork. Give documents to your personal representative. One of the most obvious choices is to store your documents with the person who will need to access them first. When you choose your personal representative, you should first make sure that he is willing to accept the responsibility. During this conversation, you may ask if he would be comfortable keeping copies of your estate documents. 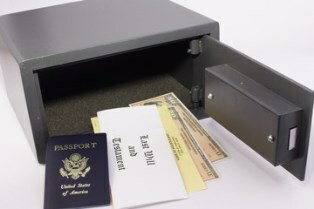 You may also ask that your documents be stored in a secure location such as a safe or a safety deposit box controlled by your representative. If privacy is a concern, enclose your documents in a sealed envelope with instructions that it is not to be opened until your death. Ask your attorney to keep your documents on file. Most attorneys who specialize in estate planning and probate issues understand the need for secure document storage and can keep a copy of your documents in the office or other secure file storage location. If you choose to use the services of an attorney for this, make sure that your family, personal representative, and other trusted parties know that you’ve made this choice and are given contact information for the attorney. Store documents in a safety deposit box. A safety deposit box can be an appropriate place to store your estate plan, as long as you do a little planning first. You’ll need to notify your personal representative that the safety deposit box exists, where it’s located, and ensure that that he’s authorized to open the box, or a court order will be needed. You’ll also want to ensure that he has a key or access to the key to the box. Keep documents in your home. Your home is another option for storing your estate planning documents, but it’s best if you take some precautions if you make this choice. The safest place in your home is in a heavy safe that’s rated for fire and water resistance and anchored to your home’s structure in some way. You’ll also need to let your personal representative know that your documents are located in your safe, which means disclosing its existence and location. You must also make sure that he has access to the key or combination. Whatever option you choose, note how important it is that your personal representative knows where your will and other documents are located and has access to them. With your beneficiaries. Storing your documents with your heirs, beneficiaries, or others who have a stake in the contents of your will is generally never advised. The potential conflicts of interest could create problems for your estate. Online. Your personal representative is going to need an original signed copy that’s witnessed by two people. A copy printed from a computer, cloud storage service, or website isn’t likely to be accepted by the court. In the freezer. A surprisingly common myth is that the freezer is a safe location for important documents. Even if you seal your estate plan in a waterproof container, it’s too easy for paper to be damaged by the cold, moisture, or condensation, or to get thrown out while cleaning. Remember, your will and other documents form the heart of your estate plan. By taking care of how and where you store them, you’ll be ensuring that your last wishes are followed, and your family will be taken care of when you’re gone. If you have questions about your will or other estate planning documents, the Law Offices of Molly B. Kenny is here to provide the answers that you need. Please call us, or email us using our contact form to arrange a private consultation here in our Bellevue office. 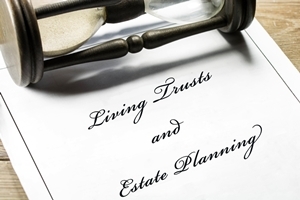 A living trust is a powerful estate planning tool that can help your heirs and beneficiaries avoid the probate process after your death. A properly executed trust will ensure that your assets are distributed faster than if they had to go through probate—and with fewer fees and other expenses. It’s one last gift you can give to those you leave behind. However, many people faced with creating a living trust may not be aware that a living trust by itself isn’t enough to protect their estate. One of the most common questions people have is whether a last will and testament is necessary if a living trust is created. The simple truth is that a living trust by itself is not enough to protect your assets after you die. A living trust is only as good as the assets you put in it. If you have not fully funded your living trust with every single eligible asset, the remaining assets may be required to go through the probate process. A sudden inheritance, a forgotten asset, or simply something that you never got around to transferring to your living trust could all be forced to go through the probate process, unless you create what’s sometimes called a “pour-over will.” Although it is no replacement for properly funding a living trust, the pour-over is legal device that will help catch those forgotten assets and get them into your living trust. The downside is that the probate court will first have to take action, allowing the assets to be given to your trust, but it’s better than having to go through the full probate process. Another extremely important function of a last will and testament is appointing guardianship for your children. If you should pass away while your children are minors, you’ll likely want to specify someone you trust who will be responsible for taking care of them. Otherwise, that decision will fall to the court’s rules, which could leave your little ones in the care of someone you wouldn’t be comfortable with. You can also use your will to appoint someone to take care of the assets you leave to your children until they reach an age when they can use your final gifts responsibly. A will also allows you to name a personal representative (sometimes called an executor, although this term is no longer used legally) to your estate. Your personal representative will be responsible for carrying out the terms of your will, inventorying your assets, paying debts out of estate assets, and distributing the remainder to beneficiaries. A personal representative is a position of trust, so it’s important to choose someone who willingly accepts the responsibility. You may want to have a back-up representative named, too, in case your first choice is later unable or unwilling to take on the task of administrating your estate. There are many advantages and some disadvantages to both living trusts and wills that will affect the final outcome of your estate. An experienced estate planning and probate attorney will be able to answer your questions, help you decide what’s best for your individual needs, and craft a plan that will ensure that your family is taken care of. To get the answers to your estate planning questions today, The Law Offices of Molly B. Kenny is available to help you. Call us, or click the contact link at the top of the page to send us an email, and arrange a private consultation with a legal professional in our Bellevue office today. 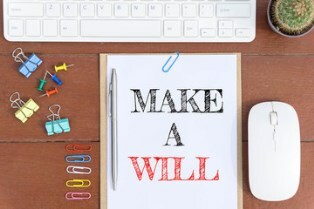 Should I get an attorney to help write my will? Creating a will is often the first step for people who are just beginning the estate planning process. Many wonder whether they’ll need a lawyer to create a will, especially in an age where so much legal information is readily available online. In the state of Washington, there is no requirement that a lawyer be involved in the creation of your last will and testament. But it’s often a good idea to hire one. There are some situations when it may be in your best interest to seek the services of a professional, and a website of generic templates won’t help you with complicated issues. Can my will be typed, written, or spoken? To be fully considered by the court, your will must be either typed or in handwriting. If not, severe restrictions are imposed on the ability to gift assets to others. A spoken will (formally called a nuncupative will) generally won’t be accepted unless specific criteria are met, including two witnesses who can provide proof that they heard the testator’s statements. Even with this proof, the spoken will is restricted to personal property not to exceed $1,000. Real estate may not be transferred by a nuncupative will at all, and nuncupative wills are able to be challenged by a surviving widow or heir. A written will (preferably typed) is best in almost every circumstance. Can anyone be a witness to my will? Most people know that you must sign and date your will in front of two witnesses, but there are some conditions to consider. For instance, when you choose your witnesses, it’s strongly recommended that you do not use a beneficiary as a witness, especially if you think your will could be contested. The ideal witnesses have no interest in your estate and are not related to you, as this prevents conflict-of-interest disputes later. Your witnesses do not have to have read or otherwise be aware of the contents of the will at all, so your confidentiality can be maintained. A frequent misconception is that you need to have your will notarized, but notary service is not legally required for a will to be valid. However, a notary can help you make your will “self-proving.” With a self-proving will, the probate court (through which all wills must be filed) won’t have to take the time to contact the witnesses and verify their identities, which can speed up the probate process for your heirs. The witnesses should sign and date the will after you. If you’re physically unable to sign the will, someone else may do it for you, but you must specifically instruct them to do so in front of your chosen witnesses. If you have many potential beneficiaries and expect that there could be a conflict over inheritances, an estate planning attorney can help you lock down the legal language you need to make sure your last wishes are followed. Disinheriting a child or a spouse can be legally tricky, too, requiring careful wording to ensure your needs are met. For a basic estate with few assets, a sole beneficiary, and no debts, a simple will may be the way to go. You can potentially save money, provided that the will is executed correctly. However, when you have a lifetime’s worth of assets that you want to ensure are passed on to your heirs in the way that you’d like, a one-size-fits-all downloaded form likely isn’t going to provide the security you’re looking for to protect your family when you’re gone. An experienced estate planning attorney will work with you to create the perfect plan, which may include a will, living trusts, living wills, and powers of attorney, so that you can live your life now, knowing that tomorrow is secure for the ones you love most. When you’re ready to talk about your estate plan, the attorneys at the Law Offices of Molly B. Kenny are here to help you prepare for your family’s future. Call us by phone, or email us to arrange a private consultation in our Bellevue office. 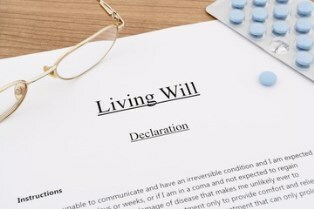 Do I need a lawyer to help me create my living will? Thinking about the end of your life can be an emotional challenge, but it’s important to be prepared. Creating a living will can help your family should you become too sick or ill near the end of your life to make decisions for yourself. By making your wishes known ahead of time, you can remove a heavy burden from the shoulders of your loved ones, should you be incapacitated to illness, injury, or advanced age. It’s important to know how to create a living will, what should go in it, and whether you should get legal help. Health care directives. This is a formal name for what’s traditionally called a “living will.” This document defines the level of care you want to receive in the event of a catastrophic disability—when you are near death or rendered permanently unconscious, as determined by doctors. Durable powers of attorney. This document lets you name a specific person who can make healthcare decisions for you, and it ensures that your directions for care are followed. When this document is a part of your estate plan, you can be assured that you have a comprehensive end-of-life plan available for your healthcare team and your family. Mechanical ventilation. If you can no longer breathe on your own, a ventilator can provide assistance. Dialysis. If your kidneys begin to fail, dialysis filters your blood to remove waste and control fluid buildup. Tube feeding and hydration. These options replace eating and drinking when you are unable to chew or swallow. You can be fed intravenously or through tubes placed into the stomach. Antibiotics and antiviral medications. Some people choose not to aggressively treat infections with medications at the end of their lives. Palliative care options. Take into consideration pain management and other quality-of-life issues. You may want to die in a home environment rather than at a hospital, and you may or may not want invasive or aggressive treatments for any secondary illnesses that arise. Do I Need an Attorney for My Living Will? There is no law that says that you need an attorney to create your living will, but there are legal rules to follow. According to the Washington State Attorney General, a living will must be signed and dated by you and two witnesses. Your witnesses must not be related to you, must not be a part of your healthcare team or an employee of a healthcare facility in which you are receiving care, and must not be a creditor or stand to gain or inherit anything from you once you pass. The law does not require your living will to be notarized, but it can make the process easier. Hiring an attorney can be beneficial. He can review your existing living will to ensure that it is legally binding and enforceable, or he can help you draft a new one, so that your family is left with no questions. The peace of mind that comes with knowing that your final wishes will be carried out and your family has a written document to guide them can be an immense relief for everyone. When you’re ready to prepare your living will, the Law Offices of Molly B. Kenny has over twenty years of experience helping families ensure that their final wishes will be respected and their loved ones will be taken care of with a good estate plan. Call us, or use the contact link on this page to arrange a private consultation in our Bellevue office today. 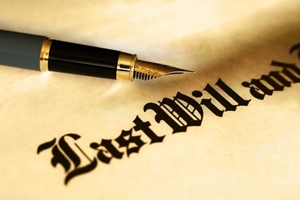 Why is a living will important for my estate plan? Do personal representatives get paid to administer an estate? The issue of compensation for the personal representative of an estate can be tricky in the state of Washington. Yes, personal representatives can be paid for their time. Unlike other states such as California, there is no specific formula or chart embedded in the Washington state code that regulates personal representatives. Here’s what you need to know about being chosen as a personal representative and how personal representatives may be paid. Being named in the will. Perhaps the simplest way to ensure a personal representative is paid is by naming him in the will, along with a dollar amount. Regardless of how much work the representative does, the amount named in the will is the compensation that he will receive. Alternatively, there may be an agreement to pay based on how long the service takes, with a final accounting (usually hourly) submitted at the end of the probate process. Letting the court decide. If the representative is not named in the will, or if he renounces the compensation stated in the will, the Revised Code of Washington allows for the representative to be compensated in a way that is “just and reasonable.” This method can also include payment for duties other than those required of a personal representative—for example, if the representative is also acting as an attorney or accountant for the estate. Renouncing payment entirely. It’s possible that the personal representative may refuse payment for his services. This option can actually be a good idea in some situations, particularly if the personal representative is also the only beneficiary of the estate. By choosing this method, however, there are potential tax benefits to the estate for paying compensation that can be missed out on, especially if the estate is larger. Note that if the beneficiaries of the estate are unhappy with the amount of compensation paid to a representative, they may file an objection with the court. The court will also consider the value of the estate and its assets, but this isn’t usually a primary consideration. How Much Do Personal Representatives Really Make? It can be tough to determine exactly how much a personal representative will be paid without knowing the details of the estate. As a “lay” representative, meaning someone who is not a professional, a common range of payment is between $15 to $50 per hour. If the personal representative has a full-time job, the court may use how much he earns as a guideline to how much should be awarded. Estate and probate laws can be confusing, especially with the sudden and unexpected loss of a loved one. If you’ve been named as a personal representative and aren’t sure what your next steps should be, an estate planning and probate attorney can help you determine exactly what you need to do in order to close the estate. The attorneys at The Law Offices of Molly B. Kenny have decades of experience helping families manage their estate plans and get through the probate process. We’d be glad to help you and your family, too. Call us at (425) 460-0550 or use the contact form linked on this page to arrange a private consultation in our Bellevue law office to discuss your legal situation today. 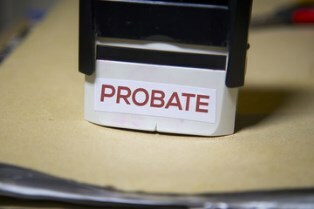 Do all assets go through probate in Washington? When someone dies in Washington, the legal process for his final legal and financial affairs are taken care of through the probate court. The probate court validates wills and confirms that personal representatives (sometimes called “executors”) named in the will agree to accept the job of managing the estate. If the person has died intestate, which means without a will, the probate court will generally also handle who receives the assets and property of the deceased, according to the “rules of secession” set out by state law. Regardless of whether or not there’s a will, during the probate process, assets are held and will not be distributed to beneficiaries until all other debts of the estate are paid. This can take months—or even years, if the estate is legally contested. Legal fees during the probate process can also reduce the overall value of the estate, resulting in smaller inheritances for beneficiaries. As a result, a common question that attorneys are asked is whether or not all assets have to go through probate, so beneficiaries can receive assets earlier and without the extra time and expense of court. In the state of Washington, the answer is no. Not all assets have to go through probate, and with good estate planning, a great many assets can avoid probate. Personal vehicles. 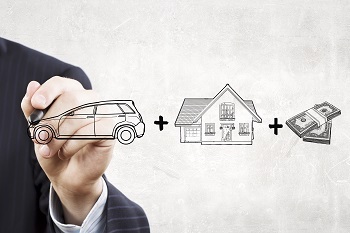 If the car was owned in joint tenancy with right of survivorship, the title can pass directly to the co-owner of the vehicle. Other property held in joint tenancy. 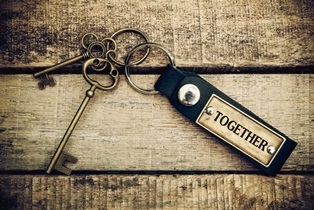 If a house is owned jointly between a couple with a right of survivorship, and one partner dies, the surviving spouse will be able to receive the other half of the ownership interest in the house without probate. Payable-on-death bank accounts. Sometimes called a POD account or an account that’s “in trust” (such as an account held for a child of the deceased), the contents of these types of accounts can be transferred directly to their new owners. Transfer-on-death securities. 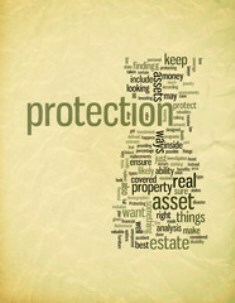 TOD security accounts also have named beneficiaries, so they are considered non-probate assets. Designated beneficiary accounts. Life insurance policies and retirement accounts (such as IRAs or Keogh Plans) already have designated beneficiaries, so the court allows these assets to be transferred directly upon death. Community property. If the deceased has a Community Property Agreement in place, this property can go directly to the surviving spouse. If there is no CPA, then community property typically must go through probate before being distributed to the surviving spouse. There are additional exemptions to the probate process that are based on the value of the estate. 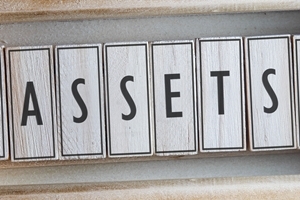 If the probate assets of an estate do not exceed $100,000 and the only assets are personal property, then a personal property affidavit may be all that’s required, and probate may be avoided entirely. 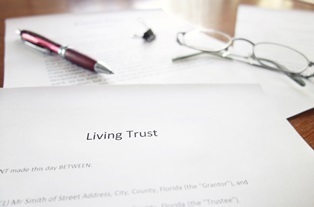 One way to avoid probate is to place your assets in a living trust. This requires some legal forethought, but it can save your heirs and beneficiaries a lot of time and money and will ensure they receive a greater portion of the assets you leave behind. If you have more questions about probate assets or how living trusts work and would like to talk to an attorney about your estate plan, the Law Offices of Molly B. Kenny would be glad to help you. Contact us by phone, or email to arrange a private consultation in our Bellevue office, and get started on an estate plan that’s right for you and your family. 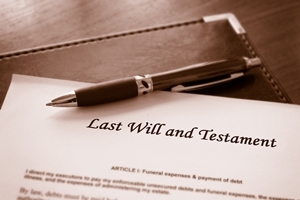 What is a transfer-on-death deed, and can it help me avoid probate? A transfer-on-death (TOD) deed is a tool that has recently become available to Washington residents to assist with estate planning. It offers a quick and relatively painless way to transfer real property (such as a home) to a beneficiary once the owner passes away. But there are some issues to consider before deciding whether or not a TOD deed is right for your estate plan. Testamentary capacity. A TOD deed has the same requirements of legal and mental capacity that comes with creating a will. That is, the person must be of sound mind and memory in order to make decisions about the disposition of his property. Properly recordable requirement. A TOD deed must contain the same information as any other properly recordable “inter vivos” deed—a transfer between living persons. In other words, a TOD deed must contain all of the necessary legal information that any other deed such as a quitclaim or warranty deed must have. Signed and notarized. A TOD deed must be properly signed and witnessed before a notary agent to be considered valid. Once the basic legal requirements are met, a TOD deed must then be filed with the County Records Office in order to be valid. Once filed, it is then a “nontestamentary” document, which means that it does not require a will or probate court to take effect. 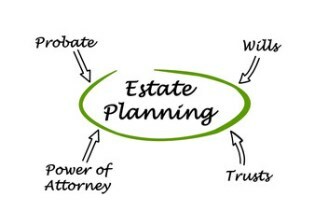 A TOD deed can be a great tool for the uncomplicated estate plan, and there are other benefits along with avoiding probate. These benefits primarily involve retaining control over the property. The property owner (or grantor, in this case) is able to revoke the TOD deed at any time while he is alive, and the beneficiary has no rights or control over the property until the grantor passes away. The grantor also can (and should) make a list of alternate beneficiaries for the TOD deed, in case the primary beneficiary is unwilling or unable to assume control of the property when the time comes. One downside to consider is that a TOD deed carries any mortgages, liens, taxes, or other claims that are associated with the property directly over to the new owner. If the property is in any way encumbered, this can leave the beneficiary saddled with unexpected debts if he accepts the deed. While probate court does take time and it costs the estate some money, the estate is bound to pay off creditors before distributing assets to beneficiaries named in a will or trust. This means, if the estate has other assets that can be used to pay off the debts on the property, the recipient may receive the property unencumbered by those debts, which can be a real gift. A TOD deed can also get complicated with multiple beneficiaries. While you can choose multiple beneficiaries and each will receive an equal share, should one beneficiary pass away, he is removed from the TOD deed and the other beneficiaries receive equal shares of what’s left. There is no inheritance of a TOD deed claim. For example, if you have two children named in your TOD deed and one passes away before the other, the surviving child will receive the full share of the property. The children of the deceased (your grandchildren) will not be entitled to a share of the property. In cases like this, where you may want grandchildren or other family members to inherit, it’s best not to rely on a TOD deed, as it may not be able to reflect your full wishes adequately. You may want to spend some time considering whether a TOD deed is right for your estate plan. Your Bellevue estate planning attorney will be able to give you additional details and help you make the right decision to ensure that your family is taken care of when you’re gone. If you’d like to talk to an estate planning attorney to find out more about TOD deeds, the Law Offices of Molly B. Kenny would be happy to answer any questions you have about your estate plan. Reach out to us at your convenience for a private consultation in our Bellevue law office. If someone has left you money or other assets as a part of his estate plan, you may wonder if you have to pay taxes to the IRS or the State of Washington on what you receive. Generally, the short answer is no. Washington residents do not have this kind of inheritance tax. But there may be other taxes due. 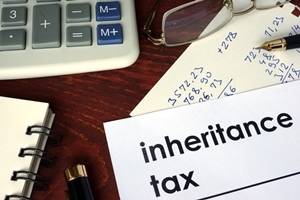 If you receive an inheritance, it’s important to know about inheritance and estate taxes. Inheritance tax is levied on the person who is receiving assets from the estate of someone who has died. The federal government does not have inheritance taxes, so if you receive money or property in an inheritance, you will not be taxed by the IRS. Only eight states currently have inheritance taxes at all: Tennessee, Pennsylvania, New Jersey, Nebraska, Maryland, Kentucky, Iowa, and Indiana. The voters of the State of Washington repealed the inheritance tax in 1981, so you will not owe the Washington State Department of Revenue, either. However, even without an inheritance tax, the government still may get a slice of an estate. The legal mechanism it uses is called the estate tax. Estate tax differs from an inheritance tax in that it applies to the estate of the deceased, not to the beneficiaries of the estate. The estate’s personal representative (sometimes referred to as an executor) is responsible for paying the tax out of the estate’s total assets before anything is distributed to beneficiaries. Both the Federal Government and the State of Washington impose this kind of tax. The amount of tax owed will vary depending on the size of the estate. These taxes usually apply only to larger estates, so many families won’t have to concern themselves with it at all. As of 2016, the State of Washington’s exclusion amount for paying estate tax is $2,079,000. This means an estate with a total valuation less than this amount may not be required to pay a tax at all. It’s important to note, however, that estates worth $2,000,000 or more must still file estate tax paperwork, even if the estate doesn’t end up actually owing any money. If the estate does end up owing money to the State of Washington, it will typically fall in the range of 14 to 20 percent of the estate’s total value. The Federal Government also requires an estate tax, but the minimum filing amount is far higher than that of Washington State: as of 2016, IRS guidelines require filing for estate tax only if the total valuation exceeds $5,450,000. This amount is the same as the federal estate tax exemption, which means that estates under $5,450,000 may not be required to pay any federal taxes. If you’re concerned that your estate may exceed the State or Federal exclusion limits, don’t worry. There are many legal strategies available that can help you save money for your estate—which means money can then be passed on to your beneficiaries. For example, using the gift tax exemptions can save your estate a great deal of money. 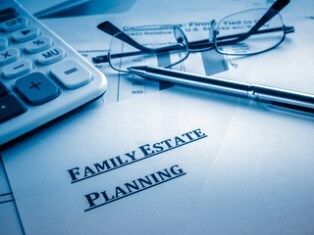 An experienced estate planning attorney has many tools that can help you reduce or even eliminate your estate taxes, but you need to get started on your plan early. Once you’re gone, it’s too late to take advantage of many of the most effective tax reduction strategies. Your forethought now will ensure that your loved ones are fully taken care of the way you want. If you have questions about your estate’s value and potential taxes, or you just want an experienced professional to review your estate plan, the Law Offices of Molly B. Kenny would like to help you. 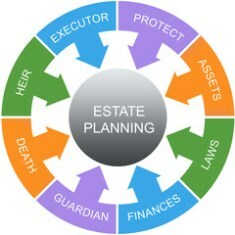 We bring over two decades of estate planning and probate experience to the table. Call us today to arrange a private consultation in our Bellevue law office at (425) 460-0550. As a part of your estate plan, you probably have already created a last will and testament, often just called a will, which details what happens to your assets when you are gone. There is another important document that should be a part of your estate plan as well, with a similar name but a completely different purpose: the living will. 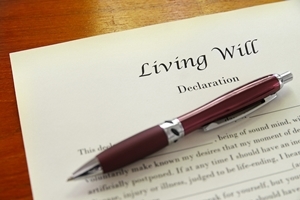 A living will is a legal document that states the treatment you want if you are incapacitated or mentally unable to make medical decisions for yourself. If you live in Washington State, you have two document options for putting your medical care wishes in writing: a Health Care Directive (now usually called a living will) and a Durable Power of Attorney for Health Care. The conditions of the living only go into effect if a doctor confirms that your condition is terminal, or two doctors confirm that you are in a permanently unconscious state. However, you must be at least 18 years old and mentally stable to create a living will. Do not resuscitate (DNR). Including this in your will means that doctors will not use cardiopulmonary resuscitation (CPR) or other life-saving techniques, including chest compressions, mouth-to-mouth or supplemental oxygen, breathing tubes, electric shock, or medications meant to restart a stopped heart. Artificial feeding or hydration. These are methods to deliver nutrients or water to patients who cannot eat or drink by themselves. Feeding tubes are placed into the body via the nose, mouth, veins, or directly into the stomach or intestines. Medication. You may opt to decline certain or all types of medications. For example, you may only wish for medication which eases pain and suffering but not antibiotics, chemotherapy, or other life-prolonging medications. Other procedures or medical care. You may be as broad or specific as you wish to include or exclude your desire for any other particular procedures or techniques such as dialysis or blood transfusions. In order for a living will to be considered valid and used for care, you must first sign and date it, and then you must supply a copy to your doctor. You’ll also want to keep a copy with your other estate documents, and notify a family member or trusted friend of the location. While you don’t need an attorney to have a living will created for healthcare, having a professional review this document as a part of your overall estate plan is a good idea. At the Law Offices of Molly B. Kenny, we have over two decades of experience helping our clients ensure that their last wishes are respected. When you’re ready to document your end-of-life wishes, you can reach out to us and arrange a private consultation at our law office in Bellevue at (425) 460-0550.